For Lyrik Marie, Jodi-Ann, and all the girls who’s minds are as fragile as their hearts. My senior year of high school, I stopped writing. This may not seem like that BIG of a deal to you. However, this was no writers block. This wasn’t a lack of ideas, creativity, or motivation. It was MY choice. I put my pen, pad, and keyboard away for almost SIX MONTHS. 1) Find a prom date. There was only one obstacle between me and accomplishing these things. I didn’t have genuine interest in them and they weren’t necessarily a part of my master plan. Yet, I’d still convinced myself that I was missing out on something. I’d persuaded the inner-me that my writing and love of stories was the reason I was missing out on teenage life. Even though project “don’t-write” was still underway, I still spent my lunch hours in the library. Among the shelves I’d grown so accustomed to, sat a book out of place, with a bright yellow cover. It had a cartoon image of two high-school aged African-American students—a boy and a girl—that were holding hands. After reading the synopsis, I realized: “A multicultural teenage romance novel based in suburban Detroit? Unheard of!” The book was “Jason & Kyra” by Dana Davidson. I took the book out immediately and was hooked by the second paragraph. I instantly identified with the female main character. Kyra is an outcast of sorts, secure in her individuality, and the apple of the most popular guy in school’s eye. Although the romance in the novel intrigued me, Kyra’s uniqueness stood out the most. Even under the scrutiny of her peers she never seemed to falter nor change for Jason, despite his initial interest in the superficial queen bee of the school. 1) I didn’t need to conform for anyone or anything. 2) THIS WAS THE TYPE OF LITERATURE I WANTED TO WRITE. Young Adult fiction—although not the most prestigious literature—molds and shapes the minds of our tomorrow. Davidson successfully applied the typical high school female nerd’s dreamscape into literature. What female doesn’t dream about snagging the guy who’s out of her reach? She allowed girls like me to have a dream come true, even if only for 336 pages. After the last page of the book I started writing again. How else was I going to write the next “Jason & Kyra”? I figured that although I may or may not reach these goals, I could very well lose my identity in the process. There was nothing like being myself. Buried in the back of an empty auditorium or the reference area of the library—where no one seemed to ever be—was the shadow of me and a new novel. This is where I belonged and I’ve been there ever since. I won Urban Word’s slam that year, went to California to steal the title with a team of amazing New Yorkers, and took one of my teammates to prom. Imagine if I’d continued project “don’t-write”, where would I be today? During my first year in college, I researched Dana Davidson, in an attempt to find literature to surpass the spaces between class and the weekend. This was before her novel “Played” dropped. Instead I found horrible reviews of the book I absolutely adored. They can be found here and here. Were you the Kyra who didn’t get your Jason? This, I am sure of. This is a novel based on HIGH SCHOOL students. Aren’t these individuals still searching for their depth and unaware of their flaws? Are young adults not intrigued by wardrobe and physicality, heightened by the raging hormones of puberty? 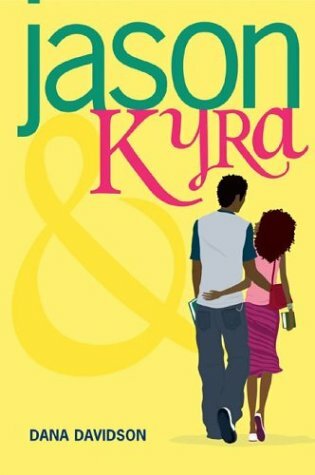 I think Jason and Kyra are two characters who have just the RIGHT amount of depth for the high school light-romance reader. The story provides the perfect attraction of opposites which is an ideal story for most young females. Even young males can identify with Jason, who has two sides to him and can appreciate the novel’s depiction of that. I would elaborate on your review which seriously infuriated me but, everyone is entitled to their opinion. Even IF it’s incredibly rude, neglects neutrality, and is spoken like a true elitist. I thoroughly enjoyed “Jason & Kyra” at the age of 17 and so have many others judging by the excellent reviews/commentary posted elsewhere. And that’s all I really have to say. I came across your blog because you retweeted one of my tweets. I took a quick glance and was about to leave, but something told me to read the top portion, so I did. Wow, I'm truly impressed with how you use words so skillfully, even if it's just my lack of word play that makes me impressed by you. However, I am so glad that you didn't conform to everyone else, being yourself will truly get you to where you want to be. Thanks @ avgibby! I'm glad you enjoyed the post. You're an Alpha man eh? Niccceeee. I remember that book! It's definitely one of my favorites. Your post reminds me of when I stopped writing for a bit. For me, it lasted a year and it wasn't because I felt like I was missing out on stuff in high school but because family found one of my online journals and made me feel ashamed. Books like Jason & Kyra definitely helped me get back on track. Thank you for this post. It was a great reminder. OMG. . . this is the book that made me start writing again. . . I actually just finished reading it again at 22 years old. . . and it still makes me feel. . . idk she was so much like me. . . being a romantic non-romantic this book. *sigh* it only seems right that i am studying the special senses and come across this post. . .